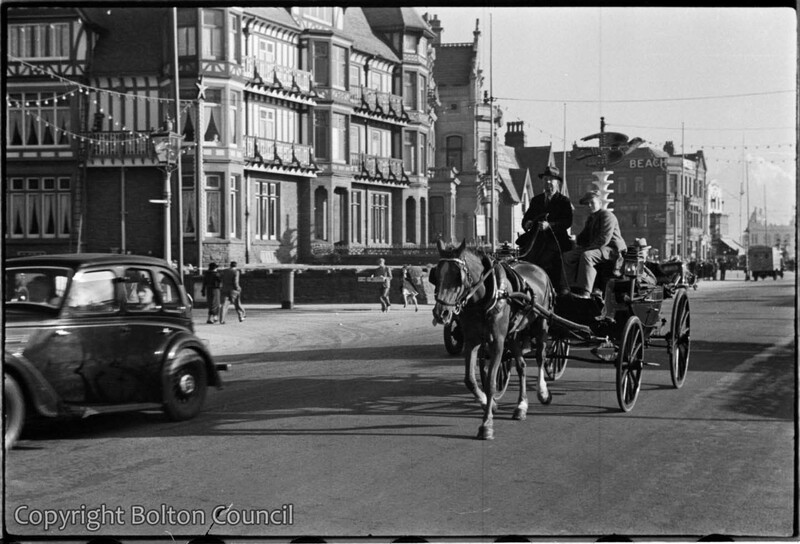 Tourists take a ride in a horse drawn carriage along the front in Blackpool. 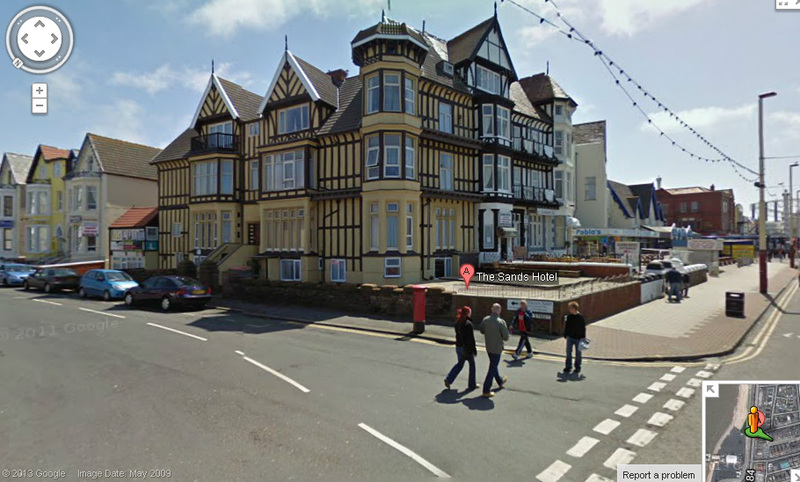 Hi can you tell me if this picture image ref 1993.83.25.19 is from opposite the south pier and was called Belvadere Terrace, which is now the promenade on the south pier,looks very like our hotel, it was called the linden lea in the past but don’t know how long ago. We took over in 2007 and it was called the sands hotel.